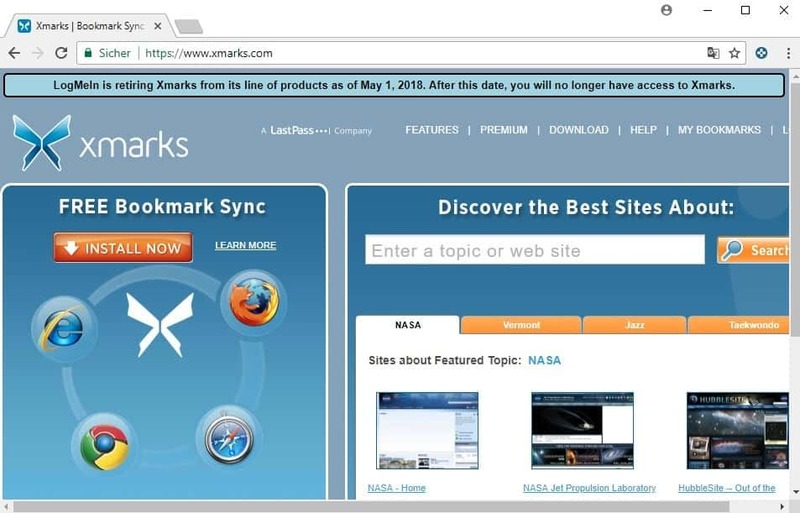 LogMeIn, parent company of LastPass, announced today that it will shut down the cross-browser bookmark synchronization service Xmarks on May 1, 2018. I’d heard rumors of this floating around a while back, but never remember having seen an email about my account. Probably got caught in a spam filter somewhere. At least I’ve got all my bookmarks backed up, most of them on my own website.